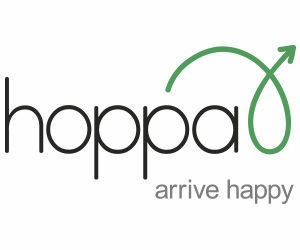 Sorry: DUE TO TECHNICAL ISSUES WE ARE TEMPORARILY NOT OFFERING hoppa. Please use our other recommended transfer partners at BENICONNECT or low-cost SHUTTLE DIRECT. Choose a no hurry, speedy or door to door fast service YOU decide! Albir & Benidorm Shared Shuttle. Benidorm Speedy Shuttle (max 4 stops). Regular monthly discounts, special offers, sales with automatic savings. Simple straightforward online booking (have your flight details to hand). A wide range of quality Benidorm transfers at sensible prices. Instant confirmation of your transfer by Email as soon as you book. Easy to contact, easy to deal with and available 24/7. They compare and check prices daily to keep prices as low as possible.